Each year, CP moves millions of carloads of freight across North America, with links to eight major ports, a huge diversity of cargo, and over 12,000 employees. This exclusive learning session will discuss CP’s current and future strategies around pressing industry issues. Rather than pitching CP as a carrier, the session will offer business insights in a peer-to-peer discussion, sure to be informative and engaging for shippers, carriers, and 3PLs alike. Like every session at Canada Logistics Conference, the presentation will conclude with an open Q&A. Mr. Jonathan Wahba has been Vice-President of Sales & Marketing, Intermodal and Grain at Canadian Pacific Railway Limited since February 14, 2017. 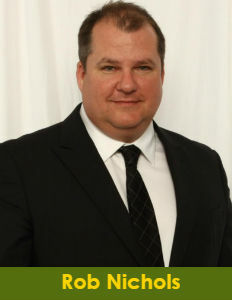 Prior to Canadian Pacific, Jonathan held a number of progressively responsible executive positons at Canadian National Railway, Schneider National, and most recently, as Chief Operating Officer at the Kriska Transportation Group. His extensive experience in the transportation industry, from trucking to rail, supports CP's strong intermodal business. He holds a BA with honours from Queen's University. Mr. Rob Nichols joined CP as the Managing Director, Domestic Intermodal Sales and Marketing early in 2016. 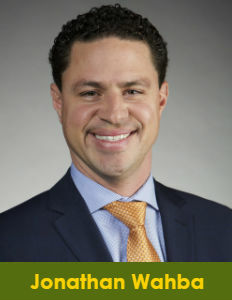 He has 16 years of progressive leadership and senior leadership roles in supply chain, transportation, operations, integrated logistics management, and business development. Rob started his career with UPS Supply Chain Solutions and prior to joining CP led the sales and customer support teams for Calyx (National Fast Freight). Rob is a graduate of the International Trade program at Sir Sanford Fleming College and lives north of Toronto with his wife and two children.